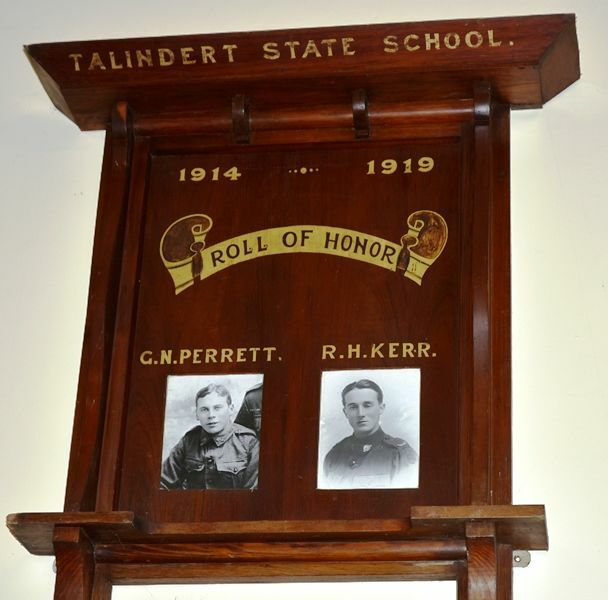 A wooden honour roll with photographs commemorates two students of the school who served in World War One. G. N. Perrett. R. H. Kerr.